There’s always room for new luxury in the world. 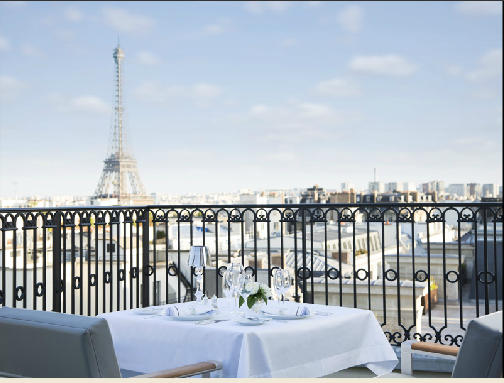 That’s why we are so excited about the premier luxury hotel brand, The Peninsula Hotels, is marking its debut into Europe and the opening of its Paris hotel with a worldwide celebration of “All Things French” and we can hardly wait. We love the City of Lights, and now it shall become even more luminescent with this grand hotel stepping into the luxe world of Paris. From special animations across all hotels on August 1, the festivities extend through the end of the year and you won’t want to miss any of them. Beyond an array of French-themed food promotions celebrating the birthplace of haute cuisine, each hotel will offer brasserie-inspired menus in all lobbies, and French-themed Afternoon Tea and French delicacies will be available alongside classical French music. Guests will also be able to sample delectable French fare with a glass of Champagne or other popular French drinks such as the pre-dinner apéritif. Paying homage to the many pâtisseries that dot villages and cities around France, “Maître Pâtissier” classes will be hosted across all hotels for guests and their children. Budding chefs will be able to try their hand at making pastry classics that are staples of French life. The very good life. Along with the festivities planned across all Peninsula hotels, each hotel has chosen its own way of celebrating “All Things French”. The Peninsula Bangkok will take advantage of the grand Chao Phraya River that runs through the city to host a sunset cruise on a Bateau Mouche offering French canapés and Champagnes on one of its renovated Thai rice barges, while The Peninsula Shanghai’s Chef de Cuisine David Chauveau will introduce a five-course set dinner each month from June to October as part of the 5th anniversary celebrations, paired with wines from five of France’s most celebrated wine regions in Sir Elly’s restaurant. New York, Chicago and Beijing will commemorate Bastille Day with exciting events and parties. On July 14, The Peninsula New York and Wall Street Journal will co-host a Bastille Day dinner event with French-themed décor, cocktails and delicacies, while Beijing’s rooftop Yun Bar and Lounge will host a St Tropez party on July 18, offering guests a pan-fried foie gras station along with a selection of French music. The Peninsula Chicago will launch a special Bastille Day menu. The Peninsula Hotels will also collaborate with key fashion houses to celebrate its French connections. On June 9, The Peninsula Tokyo partnered with Sisley Japan and luxury women’s fashion magazine 25ans in hosting a French-themed charity dinner at its rooftop restaurant Peter. All the proceeds will be donated to Make-A-Wish Foundation® of Japan, a charity which grants wishes to children with life-threatening conditions. In Thailand, students from leading local fashion brands will pay homage to the impeccable French style by hosting a runway show featuring specially-designed outfits at The Peninsula Bangkok. We all know that art is an integral element of French life, right? The Peninsula Manila will collaborate with Filipina-French artist Olivia d’Aboville for its “Peninsula in Pink” celebration, in support of breast cancer awareness in the country. Olivia d’Aboville, who sculpts works of art with recycled materials, will create a Lobby installation, which will be on display from 1 October and auctioned at a later date. The Peninsula Tokyo will showcase six works by Keiichi Tahara, a renowned Japanese photographer who has spent most of his career in Paris and whose work has extended to light installations in both Japan and France. Other celebrations include film screenings and French-themed Christmas festivities. The Peninsula New York will pay homage to the history of The Peninsula Paris – formerly one of Paris’ “grands hotels”, where George Gershwin has resided in and composed the score to while staying there – by showing “An American in Paris” as one of its rooftop film series on June 24. As the year draws to a close, The Peninsula Manila will celebrate Christmas by hosting a French-themed Christmas concert – “Joyeux Noël” on December 13. So what are you waiting for? Pack your bags for all things glamorous at The Peninsula Paris now.